Have you made your kids’ Halloween costumes yet?! I’m usually such a procrastinator. I probably would still be sewing if not for Andrea’s fabulous Handmade Costume Series. [check it out – over 65 costume tutorials between this year and last!] 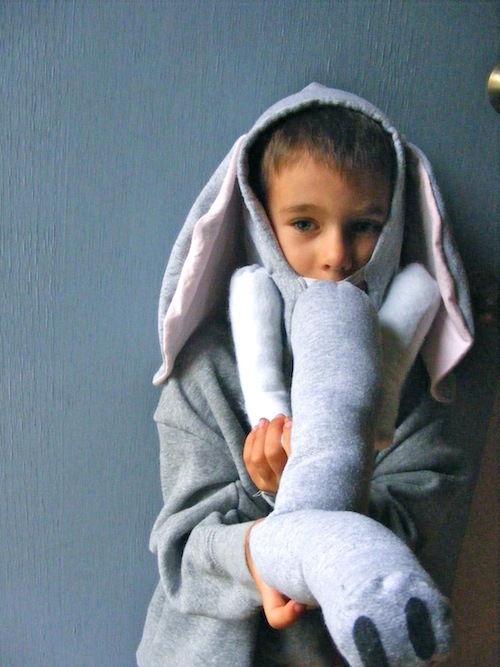 Today I’m bringing home my upcycled elephant costume tutorial, originally posted as part of her series. 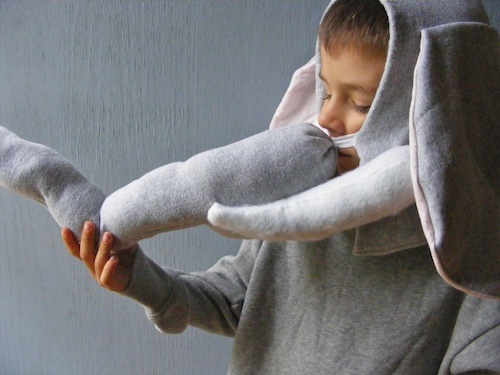 So, if your house needs an elephant for your dress-up box too, here’s how you can easily make one of your own. I find a lot of my fabrics, especially for costumes, by upcycling clothing that I find at thrift stores or that we no longer wear. [Go ahead and take a look at a few costumes that I’ve done in previous years… it’s alright, I’ll wait for you right here] Of course, you can just as easily use fabric from the store to make this. 1. Cut off the hood of the sweatshirt. 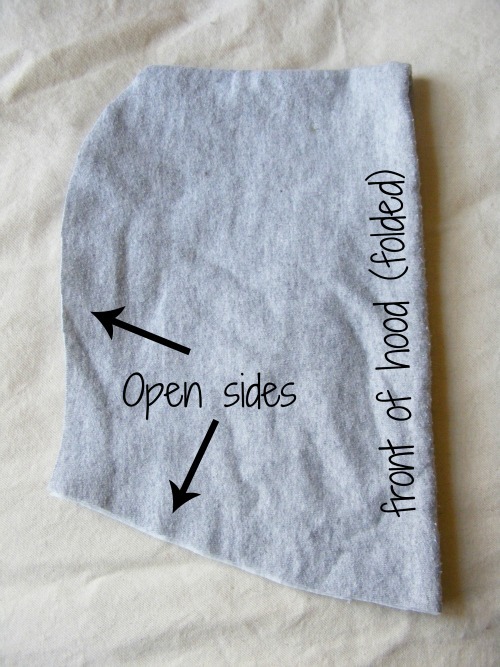 Using a hoodie that currently fits your child as a guide, cut the hood smaller. You will have two sides that are cut open. You’ll leave these open for now. 2. Make ears out of the body of the sweatshirt and your pink knit material. You will want two of each color. 3. Place one grey/one pink ear right sides together. 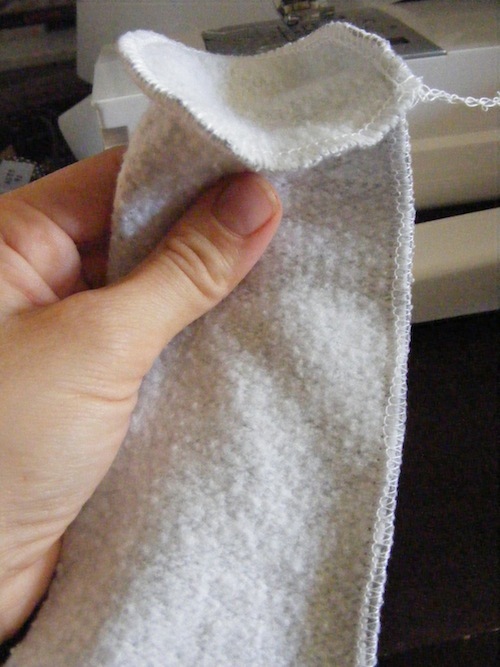 Serge or zig-zag stitch around the curved edges of the ears, leaving the flat edge open. Turn the ear right side out. 4. Cut a tube for the trunk. 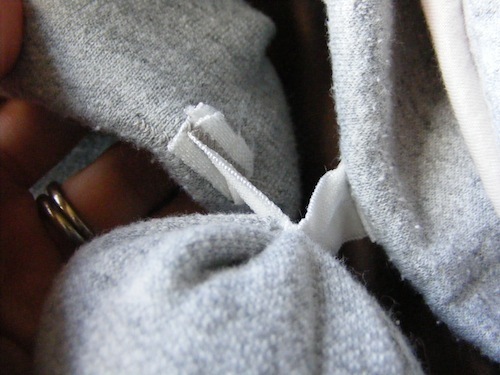 This is easy to do from the arm of the sweatshirt – it already has the right shape, you just cut it down to the size you want. 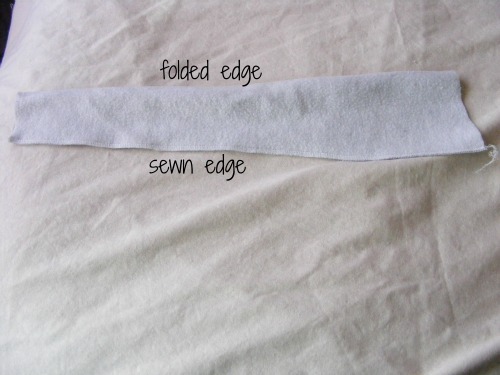 One end should be skinnier than the other. Mine was about 19 inches long. Turn the right sides together and serge or zig-zag along the long side. 5. Measure the skinny end. 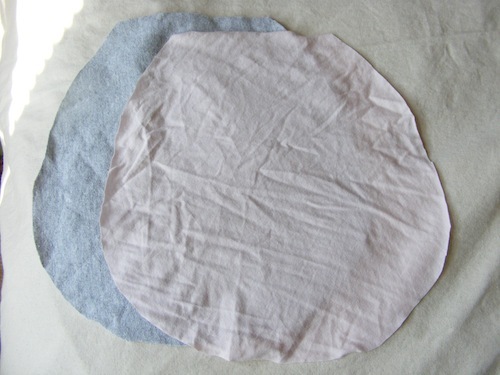 [Mine was about 2.5 inches across] Make a circle out of sweatshirt material that is the same diameter [So my circle was about 2.5 inches from one side to the other]. 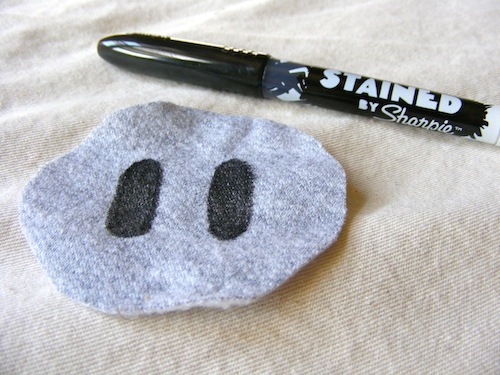 Take a fabric marker and draw two ovals for the end of the elephant’s trunk. 6. 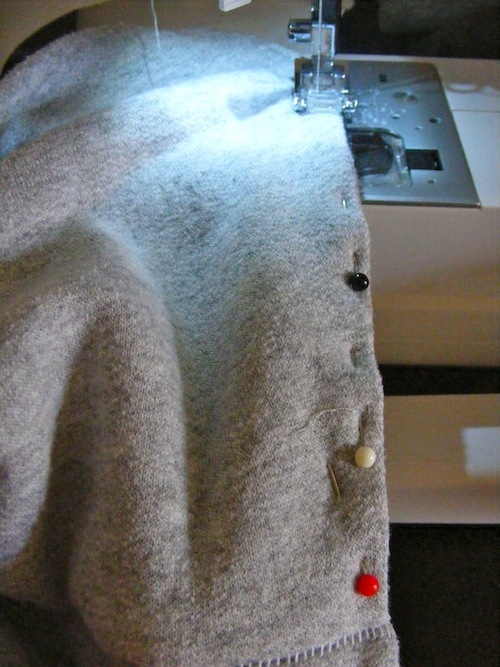 Sew that onto the end of the trunk – with the tube still inside out, place the circle right side down, then serge or zig-zag together. 7. Turn right side out, stuff with poly-fil and a bent wire coat hanger, and hand stitch closed. 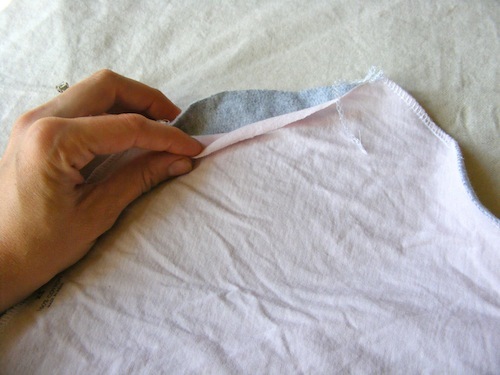 The edges will not fray, so don’t worry about tucking the ends under. 10. Next, try the hood on your little elephant. Determine where you want to place the trunk. I tried to place mine between my son’s nose and mouth – that way it wouldn’t get in the way of his breathing. When trying it on, also decide how tight you want the elastic. 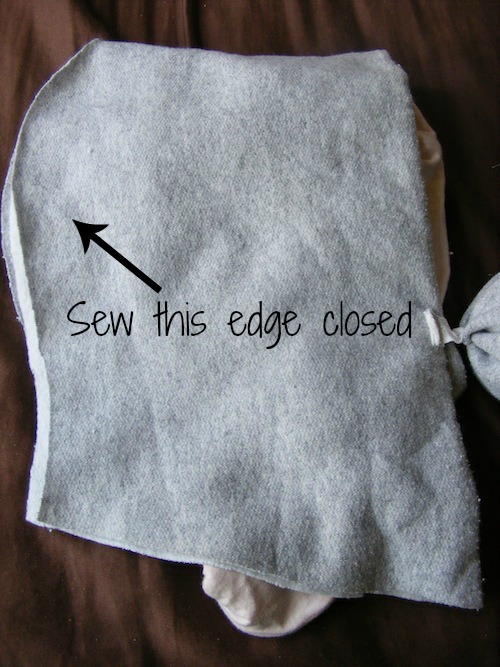 Then zig-zag a few times through only one layer of the hood. The stitching should be on the inside of the hood. [You can see in this picture that I stitched it on, then decided I wanted it tighter, so I just folded the elastic and stitched it on again, then cut off the extra]. 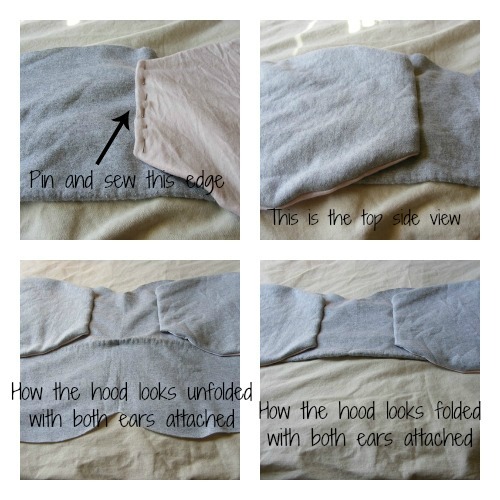 Do this with both ends of the elastic. 11. Now you’re going to sew the hood closed. With the hood inside out, serge or zig-zag the back of the hood closed. 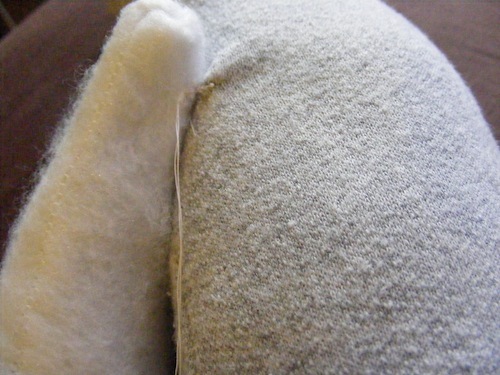 Watch that you don’t accidentally sew in the ears! 12. 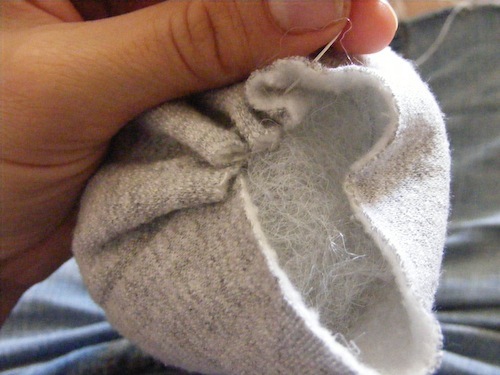 Now turn the hood right side out, fold under the bottom edges, and top-stitch it closed. Remember to avoid sewing those ears again! 13. Now to add some tusks! [If you want to – if you don’t, you’re finished!] 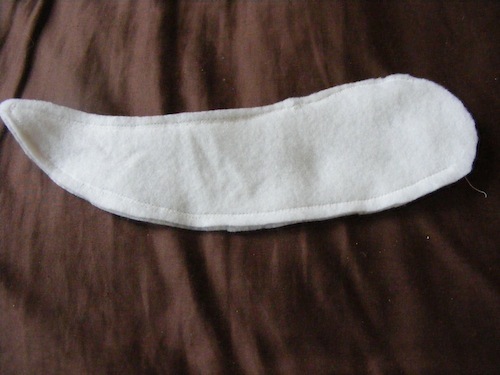 Cut four tusk shapes out of the white felt. Zig-zag each pair together. 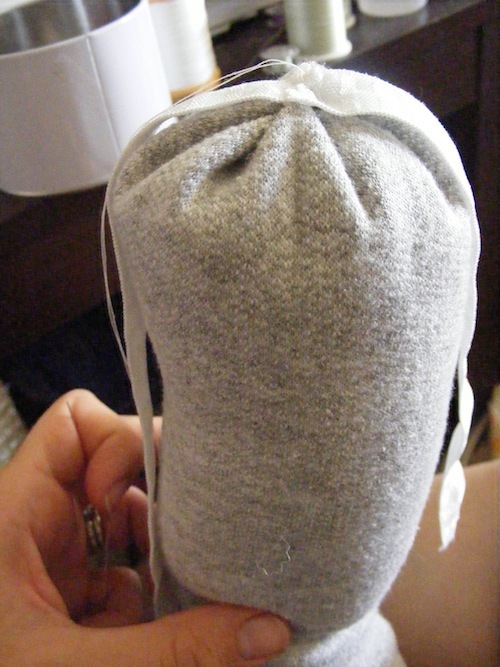 Then turn right side out, stuff with poly-fil, and hand-stitch them closed, just like you did with the trunk. 14. Determine where you’d like the tusks to sit. 15. Then hand-stitch them onto the trunk and the hood. Repeat with the other tusk. …and watch out for the water sprays from that trunk! Next postHealthy Living eBook Bundle – AKA super awesome books for super cheap! I adore this tutorial Jess! I happen to have my Train to Crazy tutorial reposting tomorrow – lol. Hope your kids are feeling better soon! This is GREAT. When I was 3, I just had to be Dumbo for Halloween. My dad doesn’t sew, so he made me a paper mache elephant head to wear. It is one of my favorite childhood memories. I want to make this for my girls! Really, really cute and innovative!